CanJam Singapore 2017 was when I finally got to hear the iSINE range for the first time and to be honest, even with a noisy environment I knew it had a little something that was ‘oh so easy’ on the ear. It is a pity I do not have an iSINE 20 to compare with, that honor went to Mike but by all accounts, the 20 does seem to be a step up on the 10. However, the premise is the same. This is the first full-range planar magnetic IEM in the market, priced at $399. 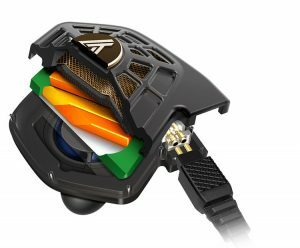 It is Audeze’s “entry level” in the brand new iSINE series, a series with a fairly long soft-launch due to Apple’s MFi certification process. Importantly it is more than just an unusual looking IEM, it is fully integrated into Audeze’s ever-growing vision of product integration with the Apple igadget eco-system so it comes with a few “extras”. Those extras come in the form of an integrated iOS app experience that really can make a big difference to the sound. No headphone jack? No Problem, say hello to the iSINE 10. Lots of pitches with the iSINE 10 and these mostly cover the iSINE 20 also at a broad level. First and foremost is the technology with the first full-range 30mm planar driver inside the most unique of shell designs in what is essentially an open back IEM. Much of what is possible with the LCD series has been shrunk down to make the iSINE series a reality. 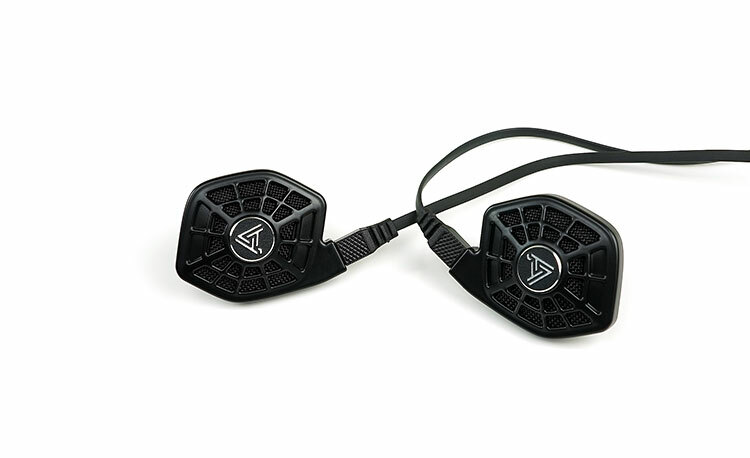 The concept is new but the intention is a long-standing one and that is to produce essentially an accessible Audeze house sound we all know but at a much smaller level to create an in-ear planar experience. Inside you get the same Fluxor magnet technology with a patented Uniforce voice-coil that is just slightly shorter in length than the iSINE 20, hence the slightly different sound between the two. 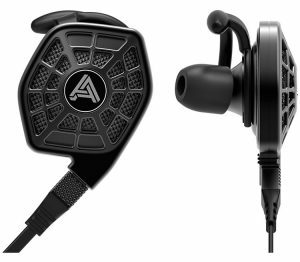 All of this is pitched at a starting price of $399 which makes it Audeze’s cheapest product in the market to date and perhaps one of its most accessible products to the wider consumer market that maybe felt priced out of the flagship LCD series. The second is perhaps the longer and more involving pitch and that is the inclusion of an optional Cipher cable which is a Lightning terminated detachable cable capable of delivering 24-bit digital audio through Apple’s own iPhone/iTouch and iPad series of gadgets. This is especially relevant with the advent of the iPhone 7 and its lack of headphone jack making BT or use of the lighting port the only option available if you want to listen to audio via headphones. The Cipher cable though is not just a “jack. It also contains an inline amp and DAC as well as DSP technology that interfaces with Audeze’s very own app that I believe brings a lot of interesting value to the iSINE series. The ability to customize your sound beyond simple EQ should appeal to both casual Apple enthusiasts looking for something unique as well as long-standing audiophiles. There really is nothing like the iSINE in the market today in terms of form factor. You could argue the Baby Stax SR002 has the same premise. That is to allow the coils to do it’s thing outside the ear and simply deliver sound down the nozzle into the ear via the tip. On that crude comparative basis both the electrostatic miniature and iSINE 10 are similar but even so, the iSINE 10 is just so incredibly interesting to look at in comparison and does not need a transformer amp in tow either making the iSINE 10 much more pocket-friendly and also a good deal lighter. 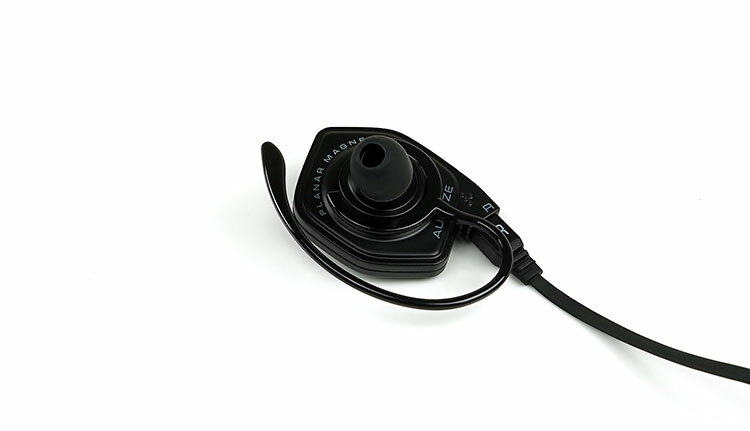 The design of the iSINE 10 was done by Designworks, which is the same BMW Group Company responsible for the EL8 series of headphones. A design I quite like even if a bit heavy. The iSINE is a skewed hexagonal shaped hardened plastic IEM with a lattice or web design over the front plate. You know the memes already, no need for me to say which ones. The shell is actually quite thin in depth at maybe just 4-5mm whilst the length and width are quite large to fit that 30mm planar driver at 31mm x 35mm. As such the majority of the iSINE 10 sits outside your ear with just a fairly long and angled nozzle intruding with user replaceable tips creating the seal. Again, in keeping with Audeze’s design ethic right back to the mid to new revisions of the LCD line the iSINE 10 cable is not straight down but rather down and out at a slight angle keeping the cable away from the higher part of the shoulders. A great idea for headphones but with the iSINE, it looks good rather than totally essential. Note the iSINE 10 does come with a detachable cable design and the cables have a really nice 2-pin finish that when attached, seamlessly integrate into the overall design of the shells. It is a very slick concept in that respect. You can elect to buy a $349 version without the Cipher cable and just the analog but our recommendation is to get the package with both cables, particularly if you use an iPhone or iTouch. The analog cable, apart from the blended 2-pin connectors at the top, is actually rather like a mini LCD-2 stock cable. It’s black, 1.5m in length and fairly flat rather than rounded or braided as most traditional IEM cables are. The cable is terminated with a fairly basic but well build 3.5mm gold plated stereo jack with decent strain relief at both ends. The Y-split is a low profile rubber tube with no adjustable chin strap. Interestingly the 2-pin is 0.78mm making it a standard 2-pin termination. In theory, you can swap out the analog cable for an aftermarket “upgrade” if you wish and play around with the sound. In practice, though the swap is not that simple. The female socket is deep-set so wide barrels will block a full connection. On some cables, such as the Whiplash Twag v4 I got lucky with a clean connection but given the vast majority of cables are worn over the ear and the iSINE 10 is straight down it became a tangled mess due to the memory wire pointing in the wrong direction. Ideally, you need a supply wire with virtually no memory retention and a thin pin tube for it to work properly. 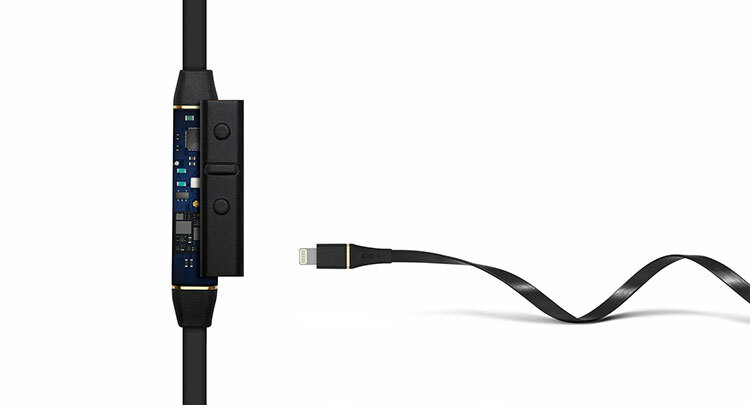 The Cipher cable takes the iSINe 10 in a whole new and interesting direction by allowing Audeze to build in their own amp and DAC/DSP inline module as well as interface with their existing Audeze app for iOS all via the lightning port. This is an MFI certified connection also so it has got the Apple seal of approval. It also has an iOS compatible mic and ADC control for playback and taking calls. The cable is also in 1.5m length and has the same 2-pin connectors for the iSINE 10 driver ports. It differs from the analog with its lightning termination instead of a 3.5mm jack and a huge inline module, (replacing the rubber y-split in the analog cable), that carries all that tech as you can in see in the Audeze supplied picture above. That module is long and reasonably weighty so it is not as light and easy to work with as the analog cable. However, the module is robustly built and the buttons feel tactile and well made. Strain relief on both ends is again excellent. Now the weight is just 20g, which is actually lighter than a few more standard shaped IEMs such as RHA’s metal injection T-series but such is the size and the relative skew in balance to the outside these will not stay in your ear that easily without some additional support. 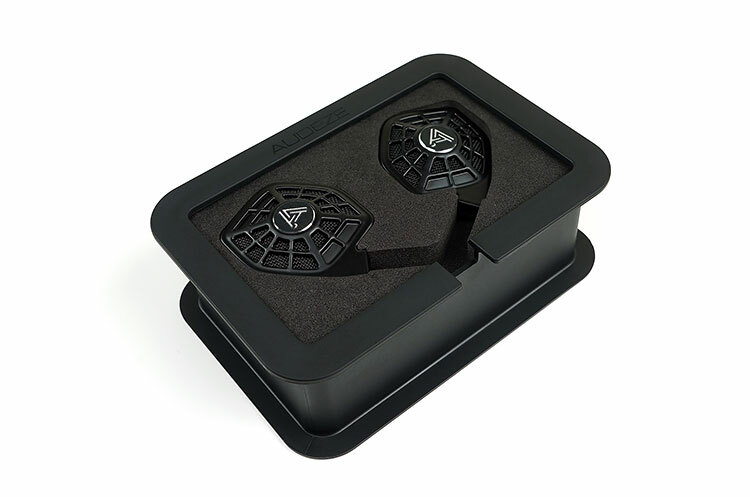 To combat the balance issue Audeze has supplied a number of “hooks” that snap onto the inside of the shell and are designed to go in your ear or over your ear to keep the iSINE 10 steady as well as enhance the potential for a good seal with the supplied tips. You get 2 varieties of ear hooks, black and transparent but essentially the same design. Once they snap on they create an ‘over the ear’ hang with enough flexibility for a wide variety of ears. Depending on where exactly you snap them on though the experience can be comfortable or painful. I find that moving them to a slight back angle increases the comfort level and forward slightly increases the discomfort level. Also, the slight thinness of the hooks provides a slightly focused pressure point along the beam which can dig into the ear unnecessarily depending on that angle. They also seem destined to either get lost or break at some point in their life, these types of accessories generally do. I would love to have seen a small compartment in the carry case underneath specifically to carry them also to prevent losses. These are designed to apply pressure points in a comfortable fashion inside the ear rather than over the ear and were designed in partnership with tactical gear company Surefire. They are made of a more supple rubber material and smaller than the hooks. These are super comfortable to use once you work out how to use them. I still prefer the security of the hooks, call me old fashioned, but the ‘Earlocks’ create less pressure and I do not feel their presence as much. This is an entirely open back design and by that I mean you will get little or no isolation compared to regular IEMs. 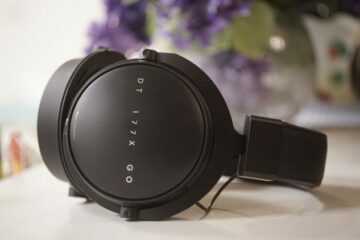 Those coming from Baby Stax or EAMT designed oBravos will understand that setup so do not expect to use these in the hope you can block out background noise, you simply cannot. I am a huge fan of open back designs, they bring a whole new dimension in sound quality to IEMs, quite different to regular IEMs which are the equivalent of closed headphones in some ways. However, much like IEMs you still need tips with the iSINE 10 for a few reasons. First, you need a certain level of seal to deliver the full audible range of the iSINE 10. If you break the seal you lose body and bass quickly. Second is the depth of the nozzle needs a little bit of steadying and the tips help with that. Note the pics show a smooth tip, the new tips now shipping are grooved for better grip. 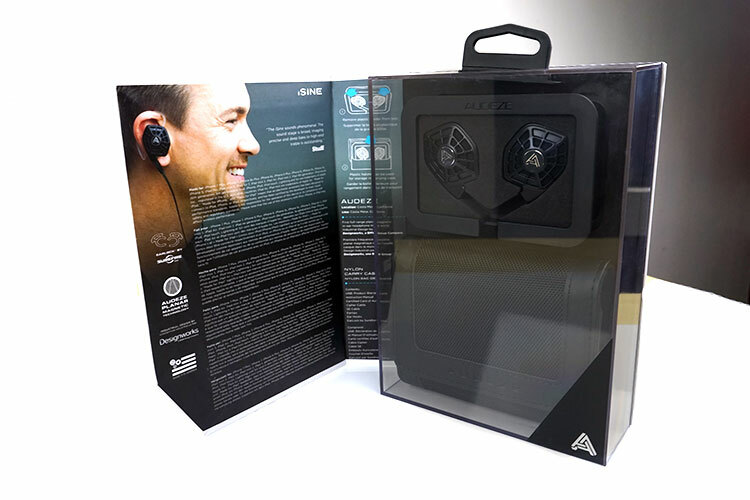 The iSINE 10 comes with a fantastic set of accessories wrapped in a very professional retail package. The whole portability design is well thought out from the executive styling of the nylon thick case, the inset holder for the drivers and the wrap around cable thread. Just to understand why the iSINE 10’s are inset as they are in the travel slide out holder it is not simply aesthetics. Inside each driver is a fairly powerful magnet so if you place them next to each other they will have a life of their own which would not suit a typical carry case. Using this method keeps the magnets fairly peaceful during transportation. 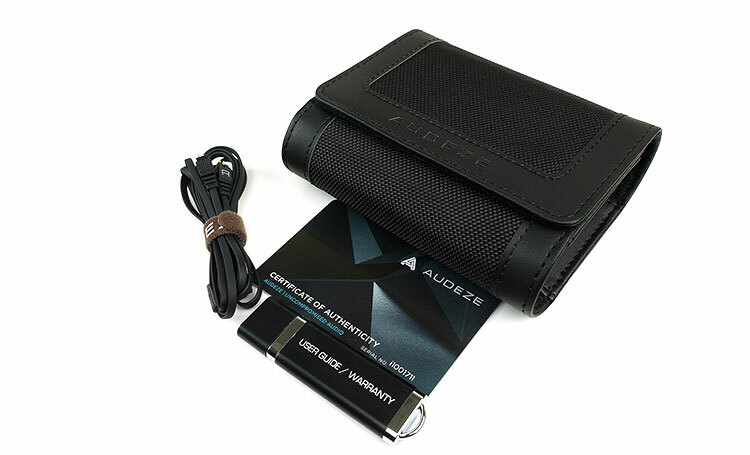 Aside from the executive carry case you get a user guide and warranty on a USB stick, your cables (can be just analog or both depending on the option you purchase) as well as the certificate of authenticity. 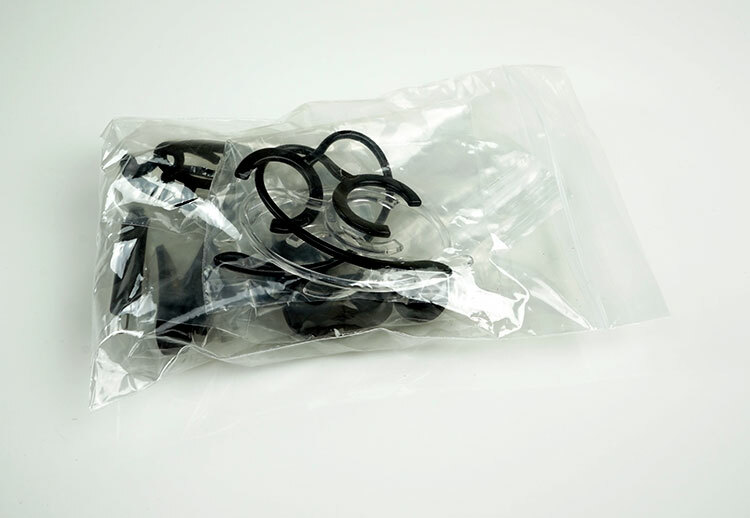 Inside a single plastic bag you get the remaining selection of accessories including the two sets of ear hooks and Earlocks as well as a shirt clip and a range of single bore silicone tips in large, medium and small size. You also receive a small cleaning brush for use with the tips and keeping the nozzle free of wax and dirt after usage. There was everything but that in the review..
It’s on page 2, click on page 2, all pages are denoted at the bottom of the content on each page. Its a good paired with cayin n3? Runs fine, though you will need to increase the gain setting. I agree fully. My version didn’t come with that Cypher cable so I missed out on what it is capable of with the app and such. I love my 20, use it every day as my primary portable. That imaging is just absurdly natural and addictive. Glad you liked the 10!